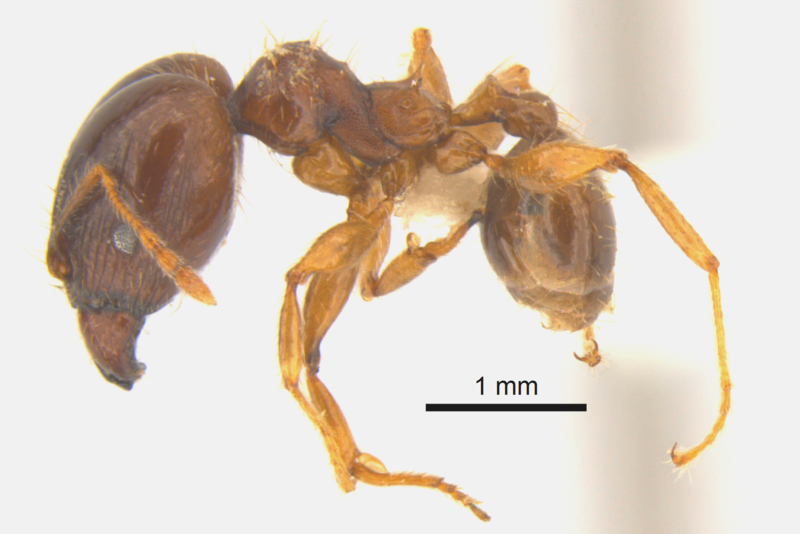 The invasive African big-headed ant has been eradicated from Lord Howe Island, helping to protect the unique World Heritage listed site. Lord Howe Island is home to endangered Australian native animals like the Lord Howe Island Woodhen and plants only found on the island. Its rare ecosystem includes cloud forests, sea-cliffs, volcanic mountains and the world’s most southerly coral reef. CSIRO Researcher and exotic ant specialist, Dr Ben Hoffmann, was part of the team responsible for the eradication and said the program was one of the most significant invasive ant eradications in the world, comparable to ant eradications on Marchena Island in the Galapagos and in Kakadu National Park. “Invasive ants pose a huge threat to Australia’s diverse plant and animal life, our agriculture and our economy and it’s estimated that governments will spend around $500 million over the next 10 years attempting to control or eradicate them,” Dr Hoffmann said. The African big-headed ant is listed as one of the 100 worst pests in the world, known for creating super colonies that outcompete and prey on native animals, reducing animal abundance by up to 85 per cent. On Hawaii, the ant is thought to have caused the extinction of several species. A ground team from the Lord Howe Island Board used a special protocol developed by CSIRO to map and bait the invasive ant colonies. They used almost 200,000 lures to assess their presence and declare them eradicated. “Once we were able to establish the right method for eradication, we were able to eradicate this invasive ant within three years,” Dr Hoffmann said. Lord Howe Island contains a high level of species diversity and was recognised for its global significance when the area was inscribed on the World Heritage list in 1982. “The ant was most likely introduced to the island via materials shipped from mainland Australia,” Lord Howe Island Board World Heritage Manager Hank Bower said. “Our work with the CSIRO is key to maintaining the biosecurity and conservation integrity of the island. “From ant eradication to the management of invasive weeds, our aim is to protect and conserve the biodiversity of our animal and marine ecosystems, as well as a native landscapes. The six year project also found there was no negative impacts to the environment by the broad scale use of ant baits. CSIRO has a proud history of helping to conserve Lord Howe Island’s natural ecosystem. Based on CSIRO’s insect collection, researchers were able to rediscover the Lord Howe Island Phasmid, a large stick insect thought to be extinct from the island, as well as releasing biological controls to stop the spread of invasive weed species.